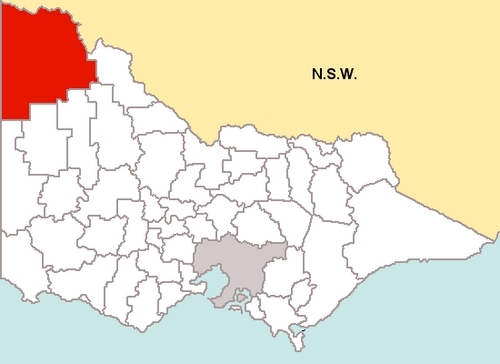 Mildura Rural City Council is located in the north-western part of Victoria. It has an area of 22,214 square kilometres, and in 2006 it had a population of 49,815. Population centres within the municipality include Mildura, Merbein, Red Cliffs, Irymple, Ouyen, Werrimull, Murrayville, Walpeup, and Hattah. Mildura Rural City Council has made a number of contributions to the Photo Library.